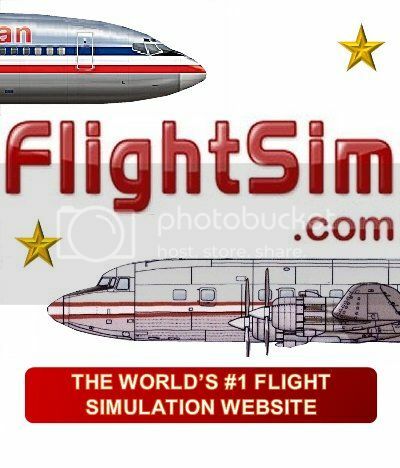 Founded in 2011, the Historic Airline Group was originally formed as Piedmont Virtual Airline. However, early on we decided not to limit ourselves to one airline. We love all the classics! 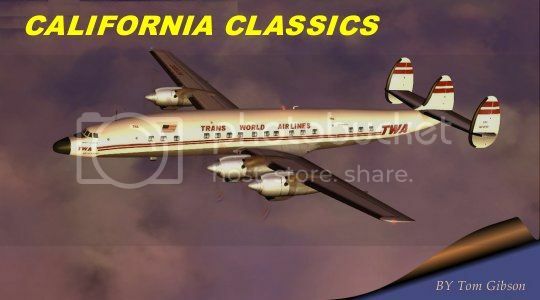 We started by adding Pennsylvania Central Airlines, and as interest grew so did our list of classic airlines. Today we bring over 80 classic airlines from around the world to the virtual airline community. We fly many classic types of aircraft, from the DC-3 to early 747s and everything in between. 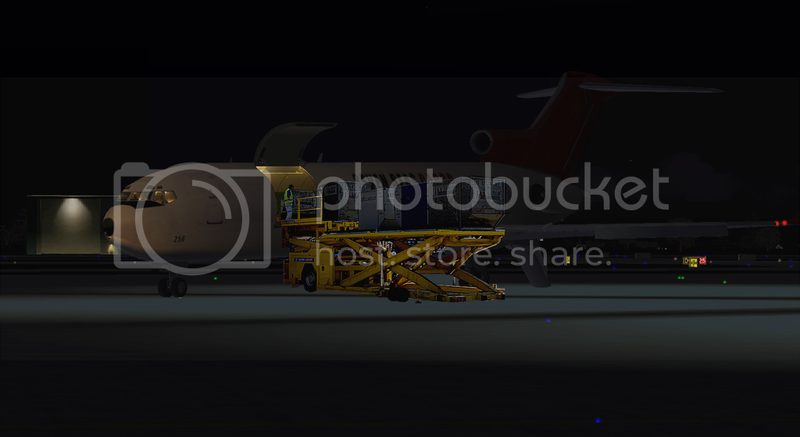 In addition to the classic passenger airlines, we also have a wide selection of historic cargo airlines. 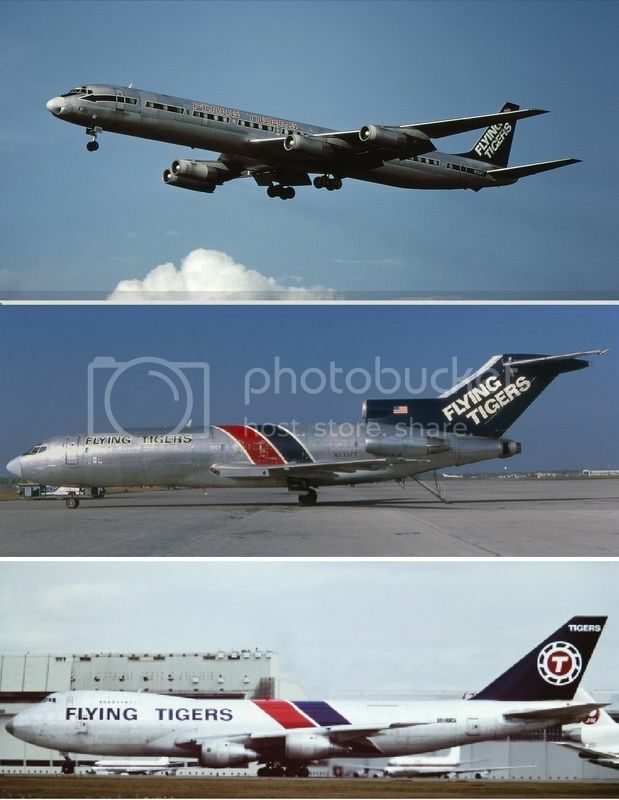 Early FedEx, UPS, Flying Tigers, Trans Air Link, Atlantic Air Cargo. We even have our own in-house cargo airline, Seven Seas Air Cargo. SSAC operates from hubs all over the world, flying everything from Beech 18's to early 747's. We even have some military flights, using classic military transport aircraft. HAG also has a unique charter division. 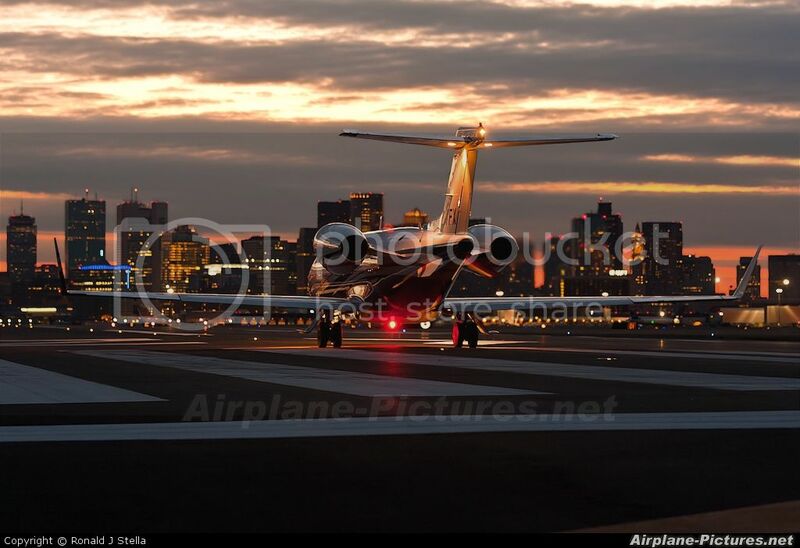 Many typical small charter aircraft are based at several locations in the US and Great Britian. The difference is that you get to decide where you fly to. The possibilities are endless! Just like real world charters, you never know where you may go next! Our management is a group of active aviation professionals, including pilots and engineers. We love accuracy and realism and incorporate that into our VA. As such, we expect our members to actually fly, so you need to fly at least once every 90 days or you will be dropped. Our pilots fly for any airline they desire. Pilots are not limited to any specific hub or airline. The choice is yours every time you fly! Join us today and start enjoying the challenge of operating classic aircraft on historic airline routes. Take your sim flying to a higher level! Seven Seas Air Cargo has just added 16 new flights. With the economy booming, the auto industry is having good times. This means more "Just In Time" parts. Our contract is with General Motors to supply car parts from Chihuahua Mexico to assembly plants in St Louis, Detroit, Arlington and Kansas City. All flights will clear customs in Laredo, TX. The Beech 18 will operate to Arlington TX. The Convair 340 will fly to Alington and Kansas City. The B727F will operate to St Louis and Detroit. GM purchases over $15 Billion in parts from Mexico annually. Chihuahua is the second largest parts supply source in Mexico. Flying car parts from Mexico is nothing new, it's been done since the 1960's. So whether it's mufflers for Escalades or dash panels for Chevy Colorado's, chances are the parts came from Chihuahua. Many of us consider the DC-8 to be Douglas's last minute attempt to play catch up with Boeing and their 707. Actually, this is only partly true. 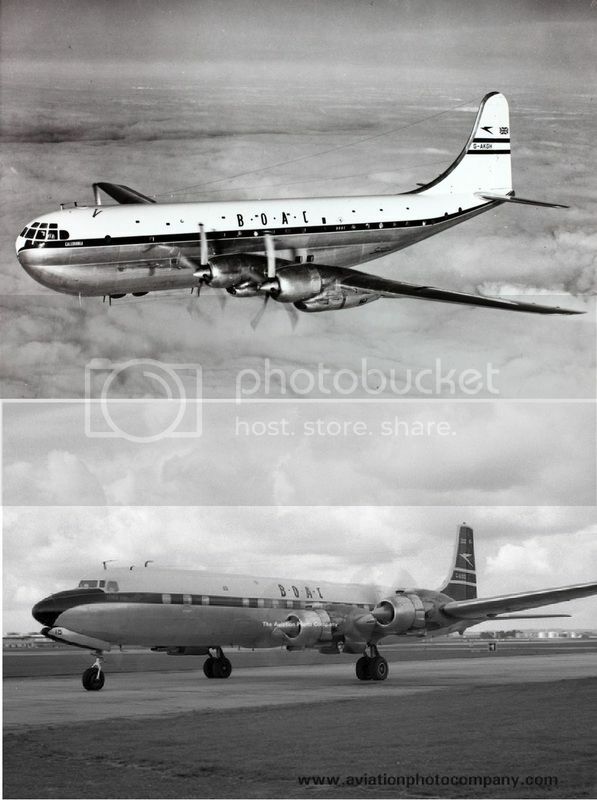 In 1952, there were only two jet airliners in the world, the British Comet and the Canadian Avro C102. Boeing had the B-47 and refueling them from a KC97 was difficult at best. The B-52 was on the drawing board, and the US Air Force wanted a better refueling platform, so the Boeing KC135 was born. Douglas considered this a military product, and any civilian version would just be an adapted military aircraft. In June 1952 Douglas set up an office to study a jetliner concept. Donald Douglas never gave it much weight though. At the time, Douglas was the world's premier commercial airplane manufacturer, and the order books with full of DC6 and DC7 orders. Business was good, so why risk it? Talks with the airlines showed they were more interested in a turboprop version of existing designs. Most airlines considered a pure jet too risky a venture, and were not willing to put a lot of hard earned profits into buying an unproven design concept. 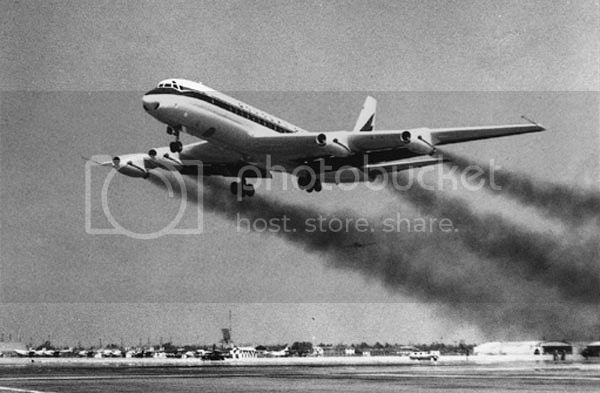 Jet engines were underpowered and burned fuel like the proverbial fire hose. What nobody knew was that advances in metallurgy and manufacturing processes would make the next group of jets more reliable, more powerful and more fuel efficient. When Boeing announced the 707 and the orders for it, Douglas Aircraft simply sped up the final design process of their DC8 concept. Airlines knew that Boeing's previous airliner, the Stratocruiser, was a economic failure- expensive to operate, lacking in reliability. Some were wary of a repeat performance. Douglas however was the proven manufacturer. So when the DC8 was announced, and first flight was only 17 months after the 707, most airlines hedged their bets by ordering a mix of 707's and DC8's. Despite the fact that both airplanes had similar operating economics, over twice as many civilian 707's were built compared to the DC8 family. Douglas never lost money on the DC8, but it wasn't the profit-maker they had hoped for. It did however keep them in the running as we entered the jet age. 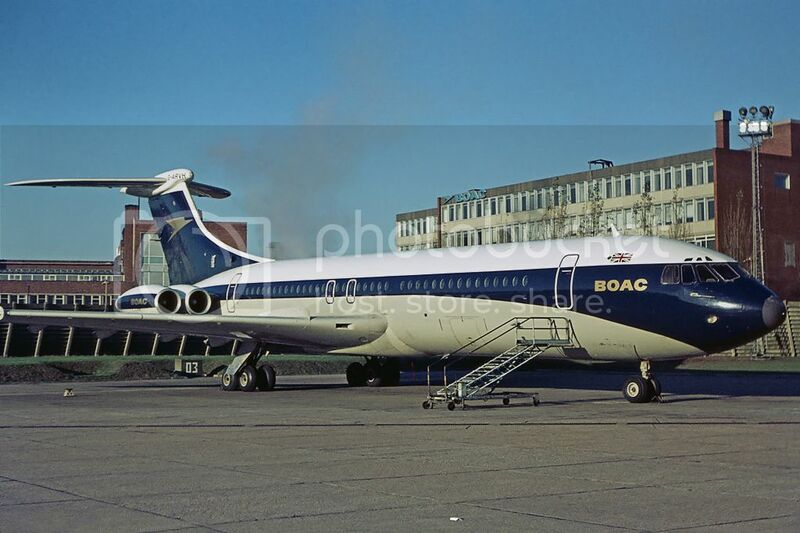 Our BOAC VC10 routes have been fairly limited. All trips were European destinations, simple out and backs from London. Today that has changed. The European routes are still there, but now we have Transatlantic routes to New York, Boston, Philadelphia and Montreal. Using the BOAC 1971 timetable, we also added routes to the South Pacific by way of New York, Los Angeles, Honolulu and Fiji to Sydney & Melbourne. Or you can fly eastbound to the Far East by way of Rome, Karachi, Calcutta, Kuala Lumpur, Bangkok and Singapore to Tokyo. You can also fly to Johannesburg, South Africa by way of Entebbe and Nairobi. With a flight from Sydney to Hong Kong, it's possible to completely circle the globe on BOAC's beautiful VC10, sixty new routes in all having been added. Routes to South America through the Caribbean are now on the schedule too. Designed in 1962, the Vickers VC10 (Vickers Commerical 10th design) holds the record for fastest time crossing the Atlantic (subsoniic) of 5 hrs, 1 min. BOAC wasn't interested in the VC10 though, claiming it's delivery date was too far off. Instead they opted for the 707. But the British government intervened and BOAC eventually ordered twelve standard VC10's and seventeen 'Super' VC10's (a stretched version). Once in service in 1964, BOAC discovered that cews, and more importantly, passengers loved the VC10. It was fast and yet very quiet. Load factors on the VC10 always exceeded that of the 707. However, operational costs were high for the VC10 compared to other jets, and with the oil crisis and the introduction of the 747, BOAC sold off their VC10 fleet after only ten years in service. Altogether, only 54 aircraft were ever built, compared to 1000+ for the 707. Think of the VC10 as a Rolls Royce. Expensive to buy, expensive to operate, but luxurious and quiet like no other. During the late 1920's and early 1930's, TWA inaugurated the first cross-country flights in America. Orignally, these were flights that connected with trains, but as airports and routes developed, flight 3 became an all-airplane route. If the weather was bad or mechinal trouble occurred, TWA could still put you on a train for the next stop. Flight 3 originated in Newark, flew to Philadelphia, Harrisburg, Pittsburgh, Columbus, Indianapolis, St Louis, Kansas City, Wichita, Amarillo, Albuquerque, Winslow and Los Angeles. There was an overnight stop in Wichita. The return flight was simply Flight 4. The "Tin Goose" was the idea of William Stout. With $20,000 start-up iinvestments, he started the Stout Airplane Factory. His design was a single engine type, borrowing heavily from Junkers all-metal design. As design continued, Henry Ford bought the Stout Aircraft Company in 1925. The first aircraft had three engines, using Curtis-Wright air cooled engines. Performance was disappointing though, leading to the 4-AT and 5-AT designs. The 4-AT had more powerful Wright engines (220-300 hp), and the 5-AT had even more powerful Pratt & Whitney engines (420 hp). With a crew of three and 12-19 passengers, they were advertised as the "safest airplane in the world" due to their all-metal construction. The Ford's airline life was short though, as the Boeing 247 and Douglas DC2 & DC3 were soon on the market. It's been a long time coming, but we've finally added Delta DC9-32 and 737-201 flights to our Delta Airlines schedule. These aren't your usual out and back flights. Most are four to six leg round trips, with flight times running from eighteen minutes to an hour and a half. Delta was the first airline to put a DC9 into service with a DC9-10. The DC9-30 series represented about 60% of the total DC9's built. Delta operated 162 DC9's over the years, some purchased new and others coming through mergers. They also flew 106 737-200's. It was only recently that Delta finally retired it's last DC9. We've just updated the Western Airlines schedules. There were some flights that were missing a return trip, so these were corrected. Some destinations were added as well. Western operated 46 727-200's, so we added that aircraft to the fleet. Western's CEO Terry Drinkwater was often at odds with the CAB, hampering their plans at expansion. In the late 1960's, Western began shifting to an all-jet fleet. Their leased 707's were returned (WAL already owned several B720B's), and orders were placed for the 727 and 737 to replace the L188 Electra II. With the Airline Deregulation Act of 1978, Western really began expanding, competing on the west coast with their rivals United and American. They reduced their hubs to two, Los Angeles and Salt Lake City, and began service to London. In the 1980's Delta was looking to expand it's presence in the Western market, and in 1987 they acquired Western Airlines as a wholly owned subsidiary. The planes were repainted, the DC-10's sold (Delta had a large fleet of L1011's already). Delta continues to use Salt Lake City and Los Angeles as major hubs for their operations. 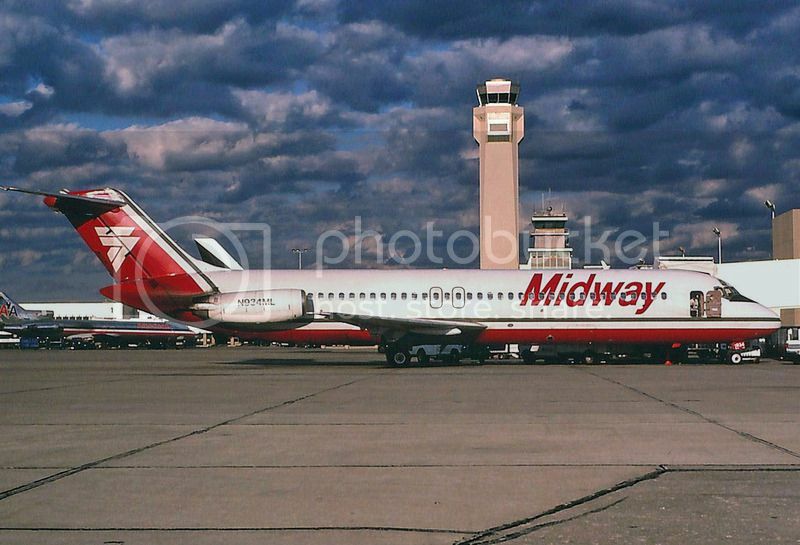 For Midway Airlines we had numerous flights with their 737, but Midway was also a DC9 operator, so we just added DC9 flights to their schedule. Midway started operations in October 1979 with three ex-TWA DC9's and was considered the first start-up carrier after deregulation in 1978. In 1984 Midway purchased Air Florida and began service to the Caribbean, providing a good and profitable mix of business and vacation travel revenue. In 1989, after ten years of service, Midway was riding high on profits. In 1989 they spent $100Â million on a hub in Philadelphia, but cometition from US Airways caused them to quit the plan one year later and sold the hub for a $32 million loss. Combined with high fuel prices and the recession in 1990, Midway Airlines filed chapter 11. There was an attempt to have Northwest purchase the airline, but when NWA pulled out of the deal, Midway ceased operations the next day on November 13, 1991. In 1960, National Airlines was operating a wide variety of aircraft, including the B707, DC-6, DC-7, Constellation, Electra II and Convair 340/440. In 1960 that began to change. 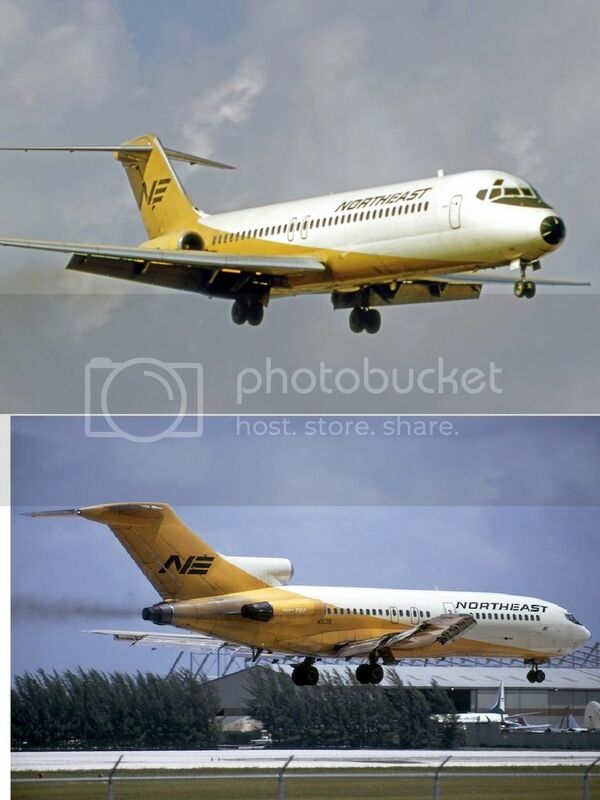 National decided to standardize the fleet using the DC8 and the B727, phasing out the other types by 1968. National's first DC-8 was N6571C, delivered on February 7, 1960. Two more -21 series were delivered in 1960. In 1963 they bought four -30 series from Northwest Orient (a fifth from Capitol Air in 1969). In 1967/68 National bought two -61 series new from Douglas. In 1969 they purchased six new -51 series from Douglas, and three from other airlines. National DC8's flew throughout the airline system. National was a major player on the east coast, and in 1961 began service to the west coast as well. In May 1948, BOAC Chairman Sir Miles Thomas and various members of his staff flew to the USA to see what they had to offer for BOAC's future trans-Atlantic service. They flew to Wichita KS and the Boeing plant. 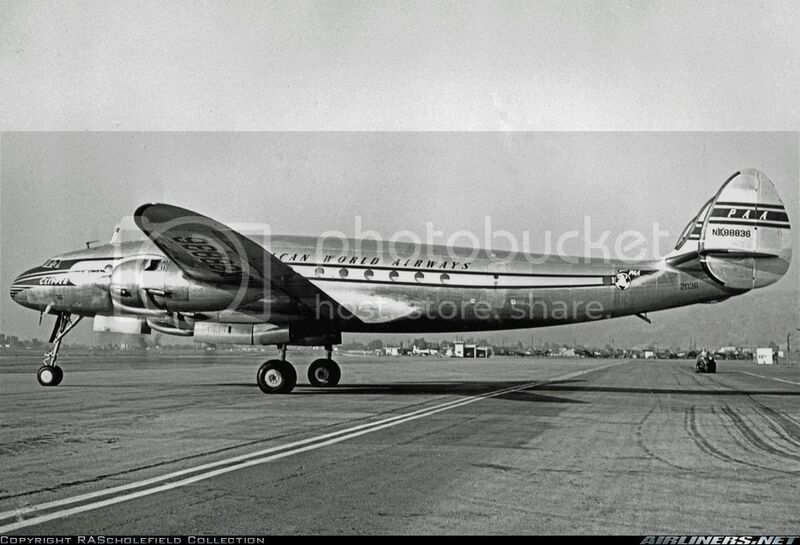 Boeing had a brand new Stratocruiser there, ready for them to inspect and fly. After visiting Douglas, Lockheed and Convair, BOAC ordered the B377. What really impressed their engineers was the vast electrical system on the airplane. Non-flammable hydraulics wasn't a reality yet in the UK, so the extensive use of electrics vs hydraulics really impressed them. Pilots trained with PanAm using their flight simulators. The Stratocruiser was used primarily on Atlantic routes, and primarily for First Class-only service. In 1955, the BOAC Board approved a purchase of ten DC7C aircraft, on condition that when the upcoming 707's arrived they would be traded in. Most of the DC7's were converted to freighters around 1960 when the 707 arrived. Like the Stratocruiser, the DC7C served primarily the North Atlantic routes. At HAG, we have added several new routes for each aircraft, using the 1955 and 1957 timetable. Earlier at HAG we had routes for the Flying Tiger Line, but we dropped it for various reasons. With the popularity of cargo flying rising, we've brought back Flying Tiger (FTL). Using a schedule from 1970, we have flights from New York and Boston, to Detroit, Chicago, Cleveland and Syracuse. From Chicago and Detroit we fly to Los Angeles, San Francisco, Anchorage and Seattle. From Anchorage we also fly to Tokyo and Hong Kong. We have included three of the most well known types flown by Flying Tiger- The DC8-63F, the B727-100F and the B747-200F. Flying Tiger was founded by twelve men previously involved with the WW2 Flying Tigers fame. Flying Tiger Line did a lot of US military logistics flying, and in doing so established a world-wide network of air cargo. When in the 1980's the USAF closed Rickenbacker AFB in Ohio, Flying Tiger set up shop there and created one of the busiest cargo airports in the country. But in 1988 Flying Tigers was having financial difficulties. Federal Express was looking to expand into international freight, so they merged with Flying Tiger and with one stroke of the pen had themselves an established worldwide air cargo system, including a large hub in Anchorage. At one time Flying Tiger operated the CL44 aircraft and the L1049. These may be added at a later date. We just added our newest classic airline, Northeast Airlines. Using timetables from 1969, we've added 15 destinations and 60 flights for the DC9-32 and the B727-025. Northeast Airlines started out in 1931 as a feeder for Pan Am and two local railroads. Based in Boston, Northeast later established a hub in Newark as well. Up until the mid-1950's they operated primarily in the Northeast region, but later expanded to Florida. 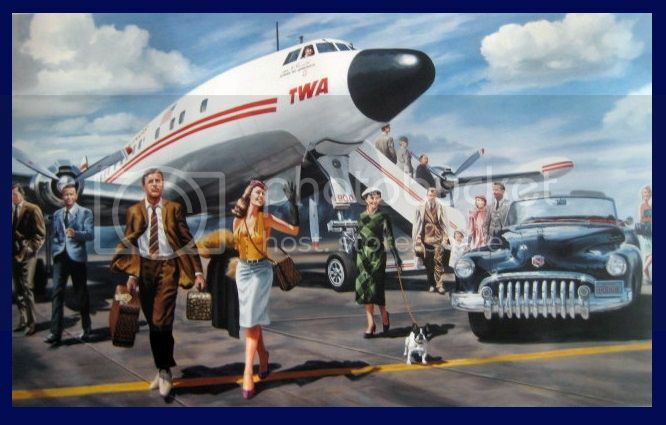 Initially they flew the DC-3, expanded into the DC-6, then leased a single 707 from TWA and bought six CV880's. By the mid-1960's they were standardizing their fleet with the DC9 and B727. Financial difficulties brought them to Delta Airlines in 1971, under the condition that they drop their sole transcontinental route, Miami to Los Angeles. At the time the airline industry was still heavily regulated. 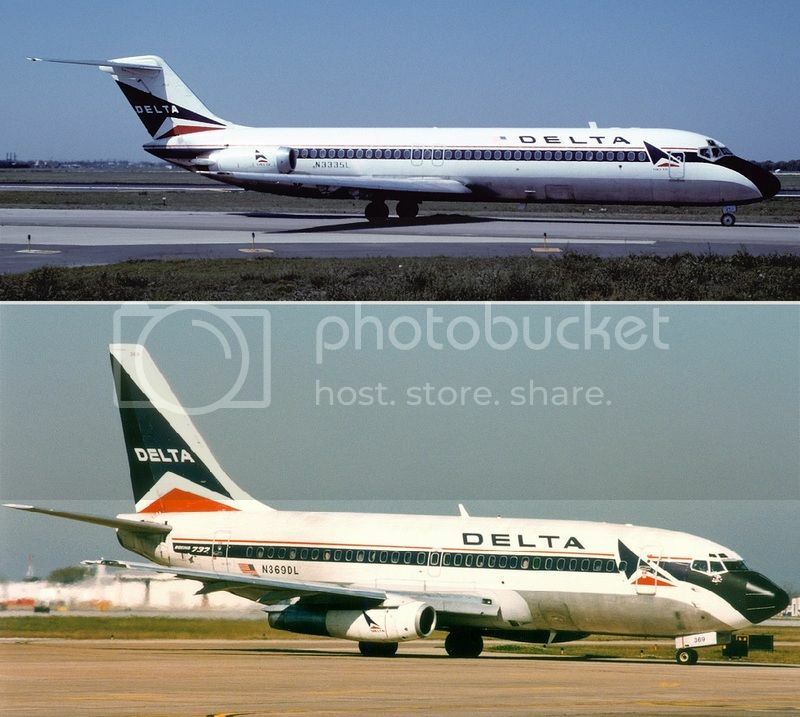 The merger allowed Delta to move into the Boston market, and the Northeast 727's were the first 727 aircraft operated by Delta. Later Delta would go on to be the largest 727 operator. Our Pan American Constellation routes have been updated. We have added 23 flights, including service to South & Central America, as well as New York to London. London follows accurate routing with one stop service eastbound (through Shannon), and two stop service westbound (through Shannon and Gander). PanAm had previously flown internationally using flying boats like the Boeing 314 Clippers, but North Atlantic winter flying was difficult, with 44% of the flights being cancelled. PanAm needed speed, range and pressurization to get above the weather. 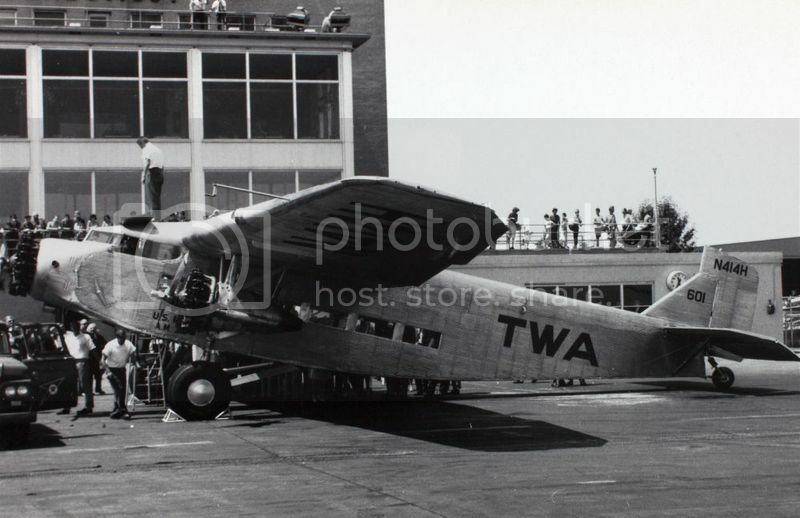 Howard Hughes agreed break with his exclusive TWA contract to sell PanAm 22 long range L-049's . The L-049 was state of the art technology, beating their competitors who were using slower, unpressurized DC-4's. PanAm eventually bought 29 L-049's and four L-749's. PanAm put the Constellation into service in January 1946. The Constellations served PanAm for ten years, before being shifted to South American routes and eventually being phased out by the DC-6B/DC-7C. The Lockheed L-049 brought PanAm into the world of fast international, pressurized airline service before anyone else did, and firmly established their presence in the world market for decades to come. 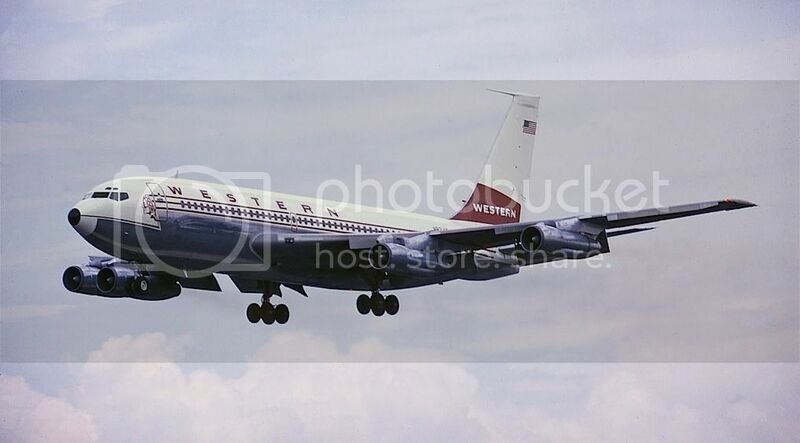 Today we completely redid the Western Airlines Boeing 720B schedule. Using timetables from 1966 & 1968, we've mirrored the actual routes flown by Western's 720B Fanjets. The 720B now operates out of their hub in Los Angeles and their smaller hub in San Francisco. Primarily a western region carrier, in 1966/68 Western was beginning to expand. After purchasing Pacific Northern, Western began B720B service to Alaska from Seattle. From Salt Lake City and Denver the B720B flew east to Minneapolis. The 720B was slightly reengineered version of the original 707-120, designed for short field performance. Though only 154 were built (29 going to Western), the low development costs made it profitable. The 720B had no APU or built-in stairs though, so it required the same ground support equipment as the 707. The 720B was 9' shorter than the 707-120, had a slightly modified inner wing section, but otherwise was identical to the 707. First flight was in November 1959. The last 720B, owned by Pratt & Whitney, last flew in 2010. 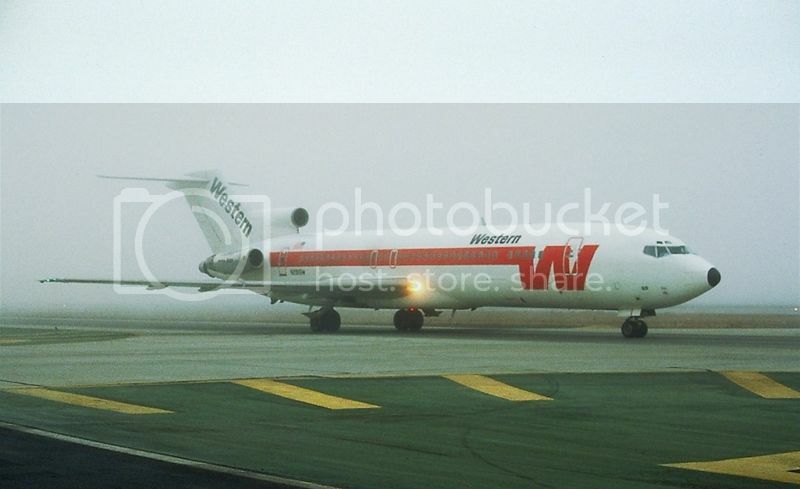 Western's 720B's were eventually replaced by new 727's. We just made some dramatic improvements to the Swissair schedules. First, we added DC-6B routes, all over Europe. 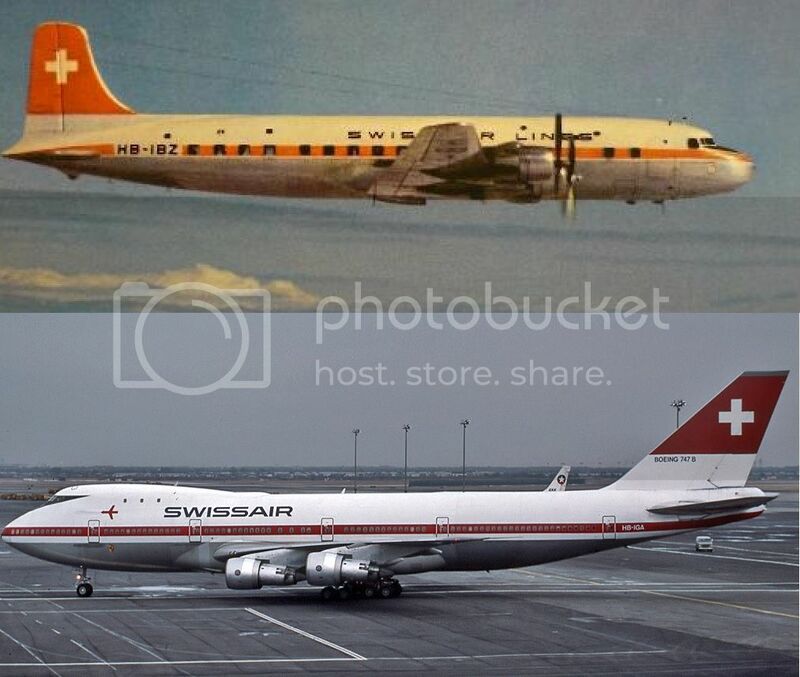 The DC-6B was a major part of Swissair throughout the 1950's. Though they did fly some international, long distance routes, the DC-6B was primarily used throughout the European region. Next, we removed the DC-7 from the same routes and added DC-7C service across the Atlantic and to the Far East. From New York they normally flew to Lisbon and then Geneva, though there was one that flew non-stop (if the wind cooperated), and another that flew New York to Cologne. Westbound over the Atlantic usually went through Shannon for a fuel stop. For the Far East, Swissair flew from Geneva to Tokyo via Rome, Karachi, Bangkok and Manila. It was the DC-7C that put Swissair firmly into the international overseas markets. Finally, we added for the first time Swissair 747 & DC10 routes. These flights serve North and South America and one flight to Tokyo via Karachi and Bangkok. Altogether, we added 134 Swissair flights! South America and Central America are regions we have yet to expand into as a cargo carrier. Today though we have added over thirty flights from our Miami hub to many new southern destinations including Caracas, Venezuela; Bogota, Columbia; Manaus & Brazilia, Brazil; Montevideo, Uruguay; Asuncion, Paraguay; Santiago, Chili; La Paz, Bolivia; San Jose, Costa Rica; Managua, Nicaragua; Guatamala, Guatamala; and Mexico City. 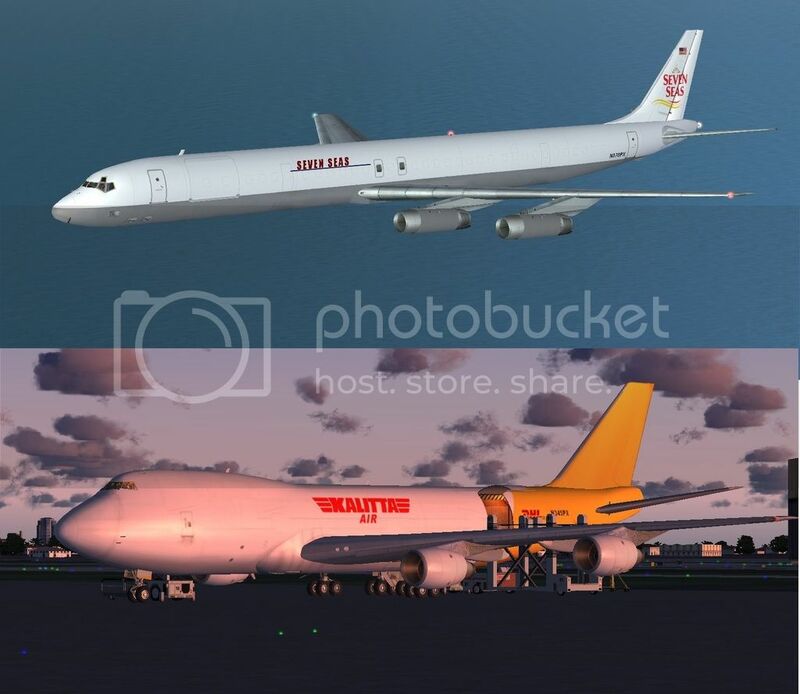 All flights are available for the Seven Seas DC8F and B747F aircraft, as well as Kalitta 747F. All Latin America destinations are available to Seven Seas 727F aircraft as well. Look for us to add a freight option in the Flight Of The Week tab! If you're looking for a new trip and would like to try a trip assignment, look to our Trip Of The Week. Every Friday we provide three new flights- classic jet, classic prop and charter. With the airline flights we follow the typical day of an airline pilot, jumping from one city to the next, using our more popular aircraft. Follow the routes of the classic airlines and learn what it means to keep a schedule! For charters, we have something new every time. One week you fly grandma to Aspen, the next it may be a load of odd freight. We use many different general aviation aircraft, from Learjets to Beech 18's to Piper Navajos. Check out the Trip Of The Week on the About Us tab above! In February 1965 the DC-9 took flight for the first time. At the same time, Boeing was just getting it's first order for the 737, who's design was yet to be finalized. It would be two more years before the "Baby Boeing" made it's first flight. Boeing borrowed a lot of designs from the 727 to speed up the development process, including the fuselage cross section. The engines were mounted on the wing for ease of maintenance. An improvement to the thrust reversal system was added with target-style thrust reversers that were set 35 degrees away from the vertical to allow the exhaust to be deflected inboard and over the wings and outboard and under the wings. United wanted more room, so the design was stretched 76" and became the 737-200 series. United launched the first 737-200 service in April 1968 with N9002U on a flight from Chicago to Grand Rapids. Despite it's initial success, the recession of the 1970's almost caused Boeing to end production. Airlines though preferred it over the 727 which had higher operating costs. In 1979 Boeing developed the 737-300, with more fuel efficient engines, updated avionics, aerodynamic improvements and another stretch in length. The -300 could carry 20-30 more passengers with efficiency. Eventually United bought 233 of the "classic" 737-200/300's. Later, United began parking the 200-series and replacing them with the A320, but over time they went back to the 737, with orders for over 300 737 Max 9 and Max 10 models. The last flight of a classic 737 for United was flight 737 in October 2009, flying from Dulles to SFO by way of ORD and LAX. The photo shows this airplane landing in SFO. Today, United flies more 737NG's than any other type of aircraft. You just can't keep a good design down.